SYNOPSIS: White people don't understand that there are two laws. White people have different laws from Aboriginal people. 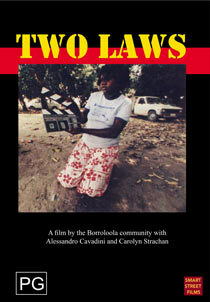 TWO LAWS is a film about history, law and life in the community of Borroloola in far North Queensland. The films offers viewers a remarkable and different way of seeing and hearing. 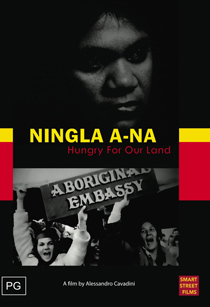 Like the film BACKROADS it is one of the few productions at that time in which Aboriginal people had creative input. The impetus for TWO LAWS came from the community themselves. There was substantial collaboration with the film makers before and during the shooting period. It is one of the most outstanding films to be made during the 1980s. It is an historical analysis of what, nearly forty years later, is an increasingly contemporary question. Two Laws. 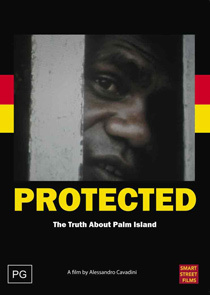 Subject area Independent australian documentry/ Indigenous issues/ Reconciliation.